A VIDEO showing a beloved Andergrove donkey named Rowenna being punched in the head has sparked outrage. 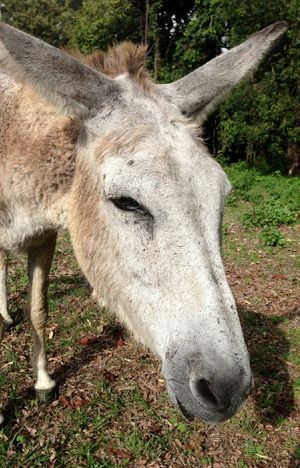 Rowenna's owner, Melissa Turner, has described the 28-year-old donkey as "the most placid, gentle animal". "Rowenna was given to me for my eighth birthday from my aunty because she has the same birthday as me," Mrs Turner said. "People all throughout the community know her, feed her carrots and even elderly people around the area come and see her, she isn't just a part of our family she is a part of other families as well," she said. The video, which was on Facebook, showed a person standing next to the fence, coercing Rowenna, then punching her in the side of the head. Mrs Turner said she couldn't understand why someone would want to hurt her donkey. "She (Rowenna) wouldn't hurt anybody, and she loves attention, but the action displayed in this video by these people is not normal behaviour," she said. 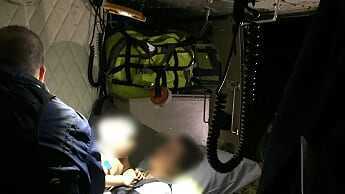 RSPCA Mackay inspector David Ferrar said the RSPCA had received the complaint and it was being investigated. "I have definitely got the complaint, as well as the video, and it is being looked into," Mr Ferrar said. "I have never seen anything quite like this," he said. "We will be speaking to all parties involved and it will be investigated as quickly as possible." Axelle Spencer, a Mackay animal welfare campaigner who knows the donkey, is also disgusted by the video. "I think it is pretty disgusting that these people find animal cruelty funny," Mrs Spencer said. "I just don't get what kind of generation we are raising that animal cruelty is normal," she said.